I spent all day either sleeping or watching movies. Close to sunset, I finally got myself out of the house to go to the gym. I stopped by Glazier's on the way back and saw these bad boys. I needed a photo and figured these would work perfectly. 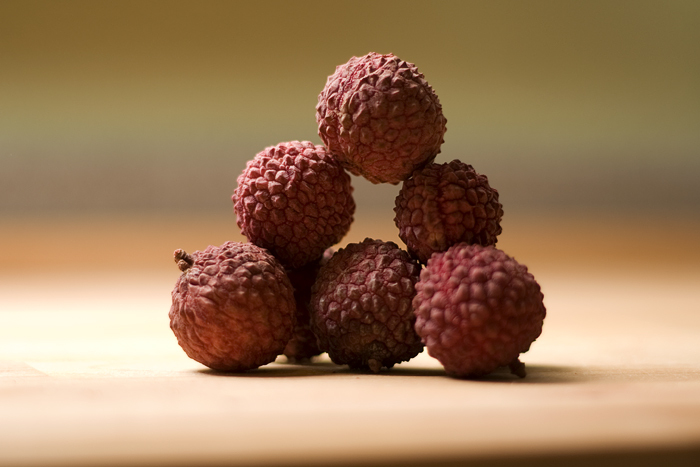 I love lychees, but I wasn't sure how good they would be, so I just got enough to work into a photo.